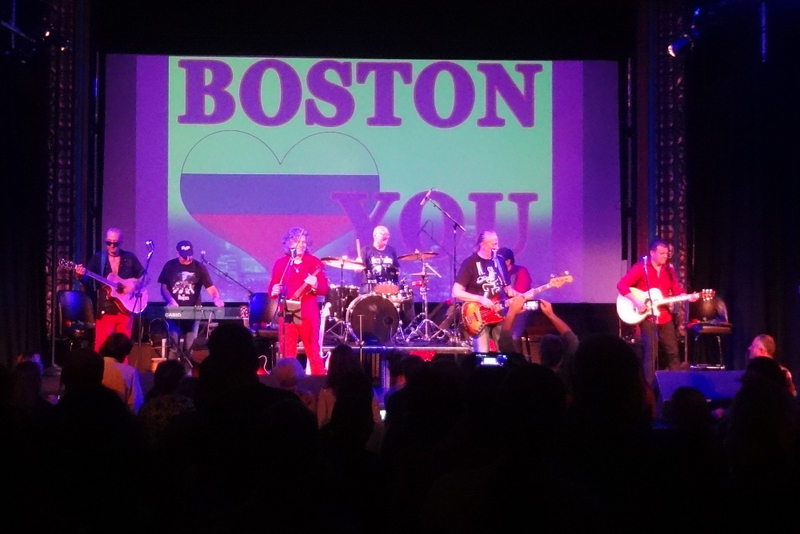 Last night’s concert at The Regent Theatre in Arlington, promoted locally by Face Bulgaria and the Bulgarian American Cultural Center Madara, was a big-time rock ‘n roll event for the Boston area Bulgarian community. 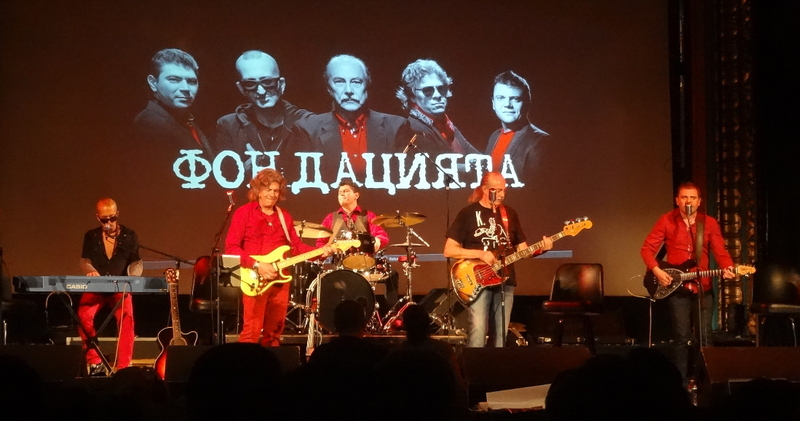 Bulgarian supergroup Fondatsiata (The Foundation) performed along with special guests Valdi Totev and Georgi Markov from Shturcite (The Crickets), a legendary Bulgarian rock group formed in 1967 and popular throughout the 1970s and 1980s, sometimes referred to as Bulgaria’s Beatles. 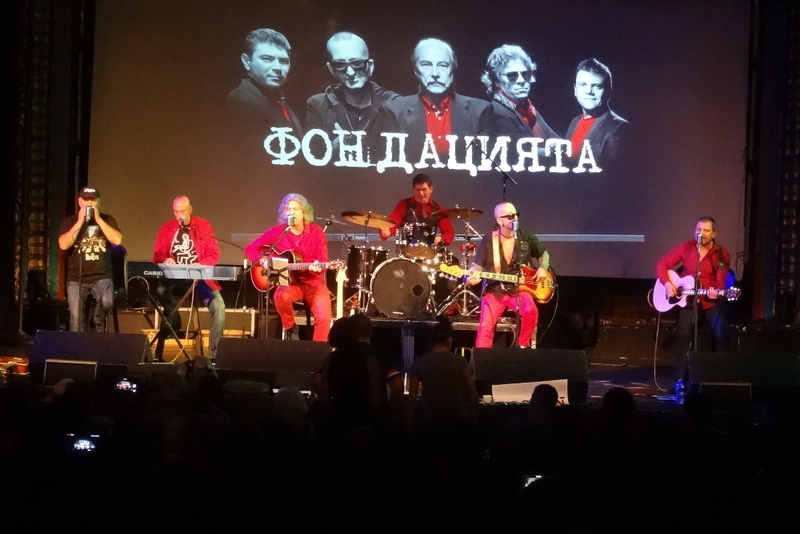 With spelling assistance from the Facebook event post, Fondatsiata is comprised of Kiril Marichkov (also from Shturcite), Ivan Lechev (from FCB), Donny Vekilov (from Donny and Momchil), Slavcho Nikolov (from B.T.R. ), and Venko Poromanski (from “TE”). 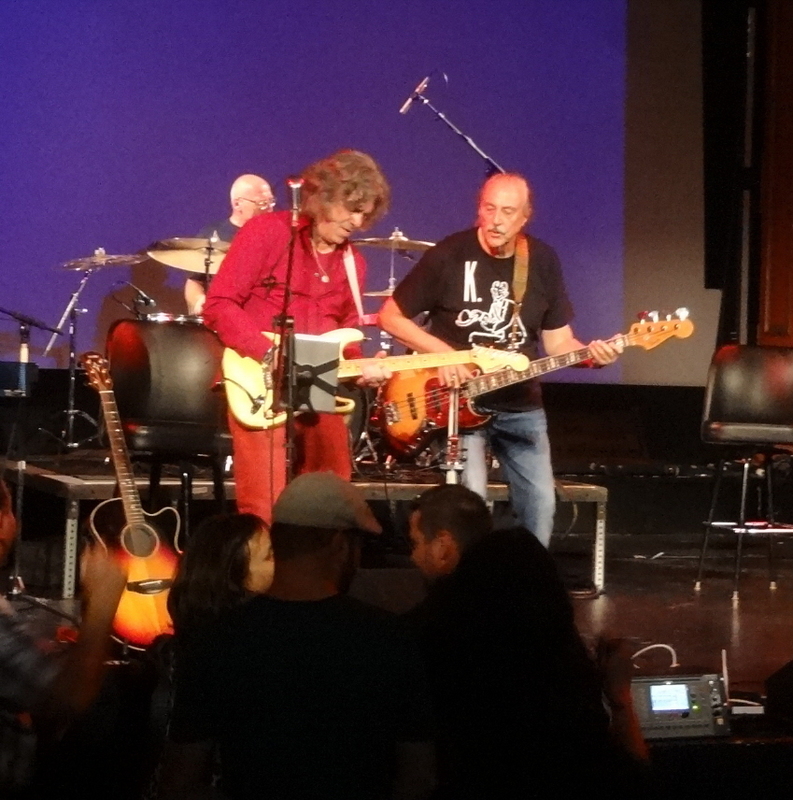 I, of course, don’t know any of the songs, so I’ll be brief – no song titles or song-by-song rundown of the evening – but I’ll share plenty of photos instead. The crowd in attendance, however, knew most of the songs. Fondatsiata opened the evening with several songs, showing the skills one might expect from a “supergroup.” Slavcho Nikolov unleashed some serious guitar wizardry; Venko Poromanski displayed top-notch drumming that included an engaging solo; Ivan Lechev rocked the axe but brought something especially dazzling to the mix when he switched to electric violin; Donny Vekilov brought energy and an impressive voice to the bunch; and bandleader/bassist Kiril Marichkov has clearly discovered the fountain of youth. 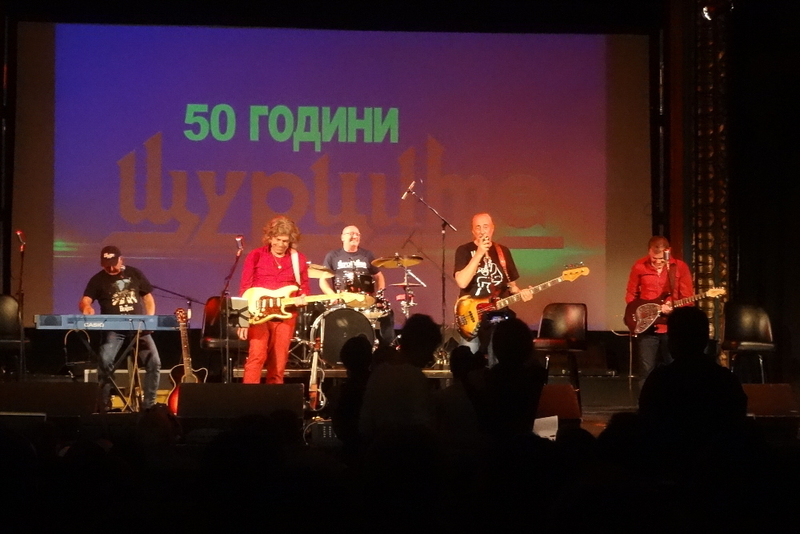 Valdi Totev joined the band for a few songs, and then he was joined by Georgi Markov for Shturcite’s portion of the performance. 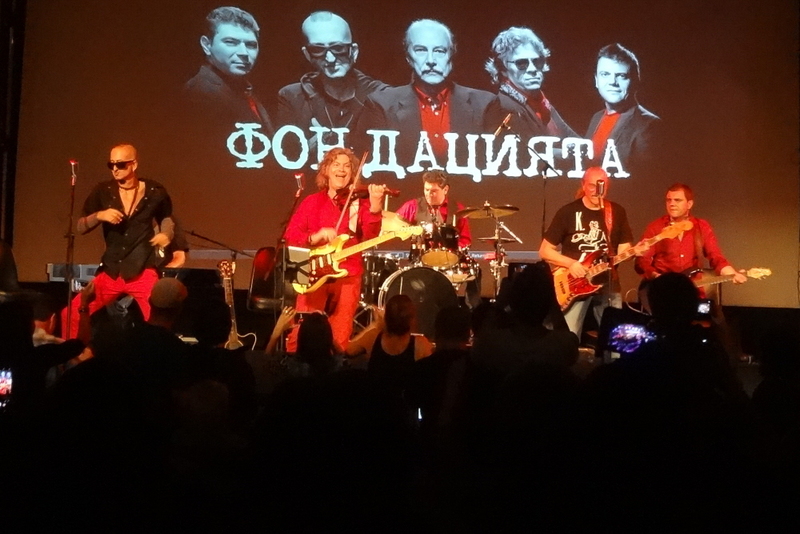 For those of us unfamiliar with the band, Shturcite’s last line-up change occurred in 1976 (thank you, Wikipedia), when Valdi joined the group, and the line-up remained unchanged until guitarist Petsi Gyuzelev’s passing in 2013. Ivan and Slavcho remained onstage to join Shturcite during their segment of the show. Indeed, as much as the crowd loved the Fondatsiata performance, thinks kicked up a notch when Shturcite took the stage to perform several old favorites. 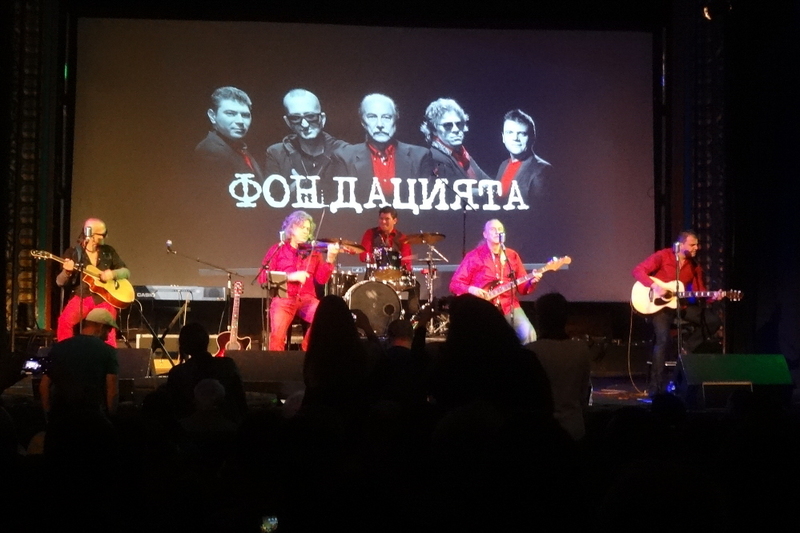 Boston’s Bulgarian community was standing, singing, and dancing in the aisles, even more than during the first portion of Fondatsiata’s performance. When Venko and Donny returned, the party atmosphere continued at a fever pitch, as Fondatsiata played several more songs. Then came time for the encore. Three encores, to be exact. 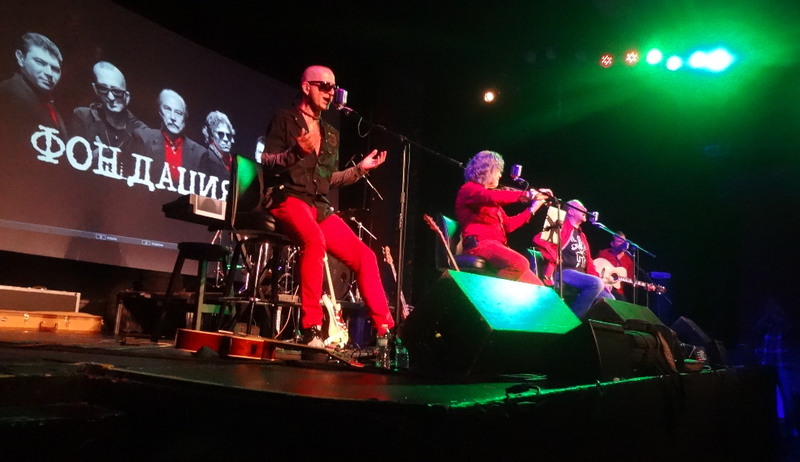 Before an appreciate crowd, the seven musicians of Fondatsiata and Shturcite regaled their fans with more favorite songs, and a two-plus hour concert experience came to a close. Indeed, it would have helped if I had known even a couple of the songs so I could sing along. And, unlike new English-language performers, I wasn’t able to learn the songs partway through. But it was a pleasure to be there for such a high-energy performance. And even without the enthusiastic audience all around me, I’d’ve enjoyed the exceptional musicianship on display. I mean, I did enjoy it. Obviously. Stylistically, the music was classic rock, largely rooted in ’60s, ’70s and ’80s rock styles (though more ’60s and ’70s), with hints of the Beatles, the Rolling Stones, and the Doors in places, and even an occasional nod to progressive rock, generally packaged in a middle-of-the-rock ‘n roll-road, mainstream style that could be played across a variety of pop and rock radio stations and easily reaches a broad demographic. Not unlike the Beatles and the Stones in that respect. This music plays directly to my personal musical tastes; indeed, if only I could understand enough to sing along, I’d probably have a few of the songs still stuck in my head today. 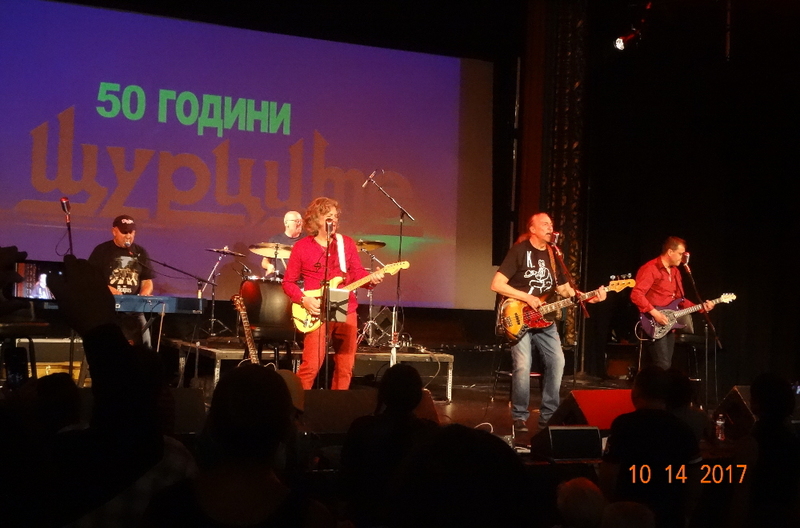 Yes, the two-weekend U.S. tour continues, per the band’s website, tonight (October 14th) at the Botev Academy near Washington, DC and tomorrow, October 15th, at the Copernicus Center in Chicago. On Friday, October 20th, The Foundation will be at Coco Cabana outside Atlanta; on Saturday, October 21st in Tampa; and on Sunday, October 22nd at Stache Drinking Den and Coffee Bar in Fort Lauderdale. Be sure to check the website or Facebook page for additional details. 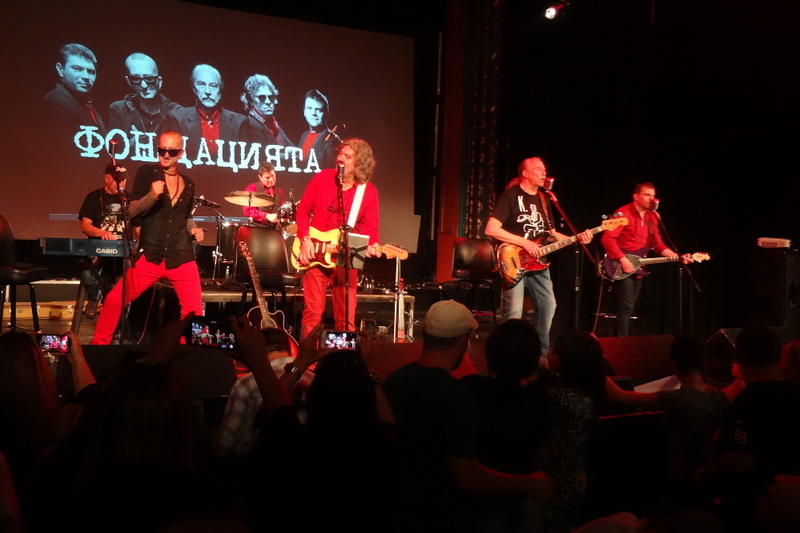 This entry was posted in Live Reviews and tagged Bulgaria, Fondatsiata, Geoff Wilbur, Geoff's Night Out, Live Review, Shturcite. Bookmark the permalink.